As expected, Jordan Brand will release excellent sneakers related to the 2014 NBA All-Star Game. JB will release their “All-Star Crescent City” collection, which includes four of their most famous shoe models. 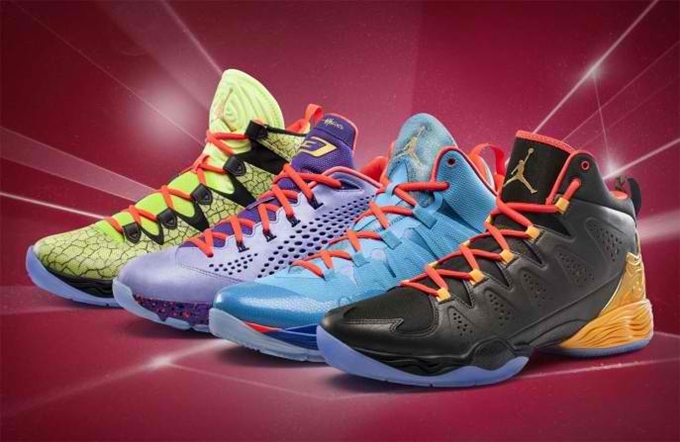 Included in the pack are the “All-Star” editions of the Air Jordan XX8 SE, Jordan CP3.VII, Jordan Melo M10, and Jordan Super.Fly 2 shoes. All four shoes will hit the sneaker market today on a limited basis so make sure to get your own pair immediately.